Huawei comes out with the most thrilling statement stating that they are working on foldable smartphones. Well, the wait is finally over, it is believed and as per the sources, MWC 2019 will be the time period when we will be witnessing the thrill by our eyes. The buzz is that Huawei has arranged a press conference in Barcelona on 24th February 2019 to announce the foldable phone. On 25th February 2019, the MWC will take off to the next level of the announcement of tech giants. The event is right after the Samsung Galaxy Unpacked events with a difference of four days. Samsung is going to unveilingtheGalaxy F foldable phone at the event. Huawei to launch 5G Foldable is going to be a big event since people were actually waiting for the giant to give the best. The brand makes an official statement about the phone in January. The Huawei 5g foldable phone powered by Balong 500 modem and HiSilicon Kirin 980 SoC by the company. In 2017, there was a buzz about the foldable phone that the brand is working on such technology. 7.2 inch-display of phones with the mass production of about 30,000 units. The 5G technology of the phone is all set to rule out all the possibility of failure with their advanced features and forms. 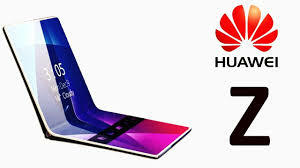 However, everyone hoped that Huawei might be the one to launch its foldable phone before Samsung. But as per the reports, this is no longer possible since Samsung has given an idea that they might be launching the handset on 20th February 2019 at their event. The foldable phone is going to be a device of the size of the table that can be folded in the inward direction. One can easily consider it as a clamshell that is ready to be folded as per the hinge area. The gadget is going to be covered from inside and display fold will look like the phone. Samsung foldable fold is said to have two different display that goes from 4-inches to 7 inches. Whereas Huawei is going to have only one display in total. The name of the foldable phone by Huawei is still a confusing topic that is yet to be decided or came out. However, there is a buzz about a few names including Mate Fold, Mate Flex, Mate F and Mate Flexi. Next articleGully Boy Ranveer Singh Colored outfits and unique promotion is giving us some majour goal of positivity and enthusiasm.